Eminent Domain and Takings Category Archives — Titles and Deeds Published by Titles and Deeds Attorneys — Jarod Bona of Bona Law PC. This category includes articles on eminent domain and inverse condemnation (takings). Luke Wake is an attorney for the National Federation of Independent Business Small Business Legal Center—a Bona Law client. Luke and Jarod Bona have also published two law review articles together, on both takings and antitrust law. Luke is one of this nation’s leading experts on takings law. You can read some of his academic articles here. Last week Bona PC filed an amicus brief, on behalf of the National Federation of Independent Business Small Business Legal Center, challenging the Minnesota Uniform Disposition of Unclaimed Property Act (“MUPA”). In this case, a Minnesota resident discovered that she had lost a substantial inheritance because she had invested it in a savings account and left the money untouched—without any interaction with her bank—for a three-year period. At that time, Minnesota deemed her account presumptively “abandoned” under MUPA and the Act required the bank to transfer her money to the State’s general fund. Under Minnesota law this could happen to anyone holding assets in a Minnesota bank account. This is, of course, highly concerning, especially since the State offers no actual notice to affected owners. For that matter, the only way that a Minnesota resident may learn that he or she has lost assets under MUPA is by searching a website. 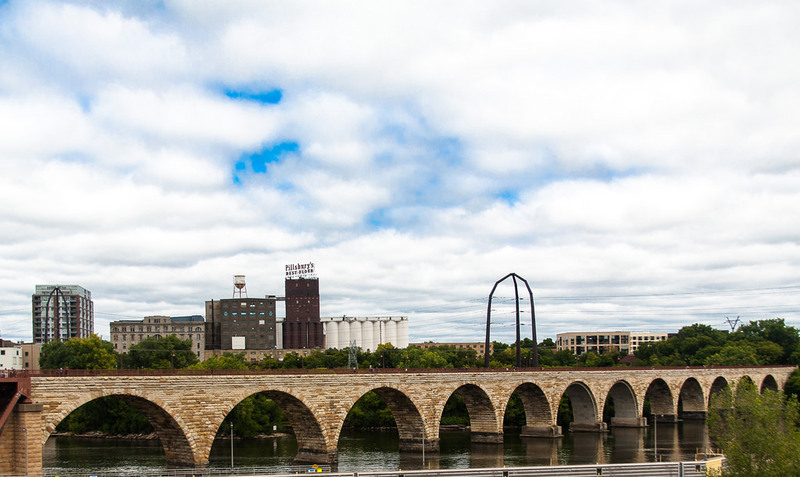 Minnesota is willing to return the amount it seized when an owner discovers that the State has taken possession, but MUPA assigns the interest on the money to the State rather than the owner during the time the State holds his or her assets. So whereas one fully expects to earn interest on money deposited in a savings account, MUPA purports to extinguish that right at the time the State forcibly transfers the money to the State’s control. But can a state law simply abrogate private property rights in this manner? This is the essential question that the Minnesota Supreme Court will soon decide in Hall v. State. Affected owners argue that MUPA effects an unconstitutional taking of their property in withholding accrued interest, while the State defends its regime on the view that nothing is taken because MUPA defines the scope of one’s continued rights in property deemed presumptively abandoned. That is, the state tries to define away your property rights to the money in your savings account. In the proceedings below, the Court of Appeals sided with the State—holding that there could be no valid takings claim where an owner has lost rights as a result of his or her own “neglect” under the statute. We argue in our amicus brief that the State cannot simply avoid a takings claim by virtue of the fact that an enacted statute purports to impose restrictions on one’s common law property rights. If that were the case then regulatory authorities could enact legislation to take private property without paying just compensation by putting an expiration date on one’s right to retain title, or by simply declaring that once protected private property rights are no longer recognized under state law. But, of course, the U.S. Supreme Court had already made clear—in numerous cases—that the government cannot abrogate private property rights in this manner. In a recent California appellate case, DNI Food Service, Inc. dba Zaya’s Bistro v. Kim, the owner of a multi-tenant retail building in Los Angeles County was notified that two parcels of its land would be affected by a freeway expansion project. The building wasn’t located on either of the parcels, and there were five tenant vacancies. Caltrans planned to take some land located between the street and building and create an easement over the sidewalk. Real estate agents working for the builder were communicating with Caltrans. At about the same time, these real estate agents advertised tenant space in the building, marketing the property on the basis of its location and its reduced rents. A food services company and its owner saw the ad and contacted the agents. They were hoping for a two-year lease but signed a five-year lease with a personal guarantee. The food services company spent money and time and opened a restaurant in the spot that they rented.